If you can move your hands together up and down and side to side, you can free motion quilt! Spend Saturday November 3rd with the NJMQG learning basic free motion quilting. Our member lead workshop will be taught by Jackie Laba. 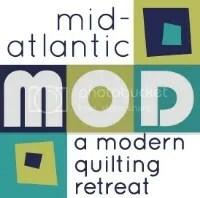 The workshop will demonstrate techniques of basic free motion quilting and help you practice and build your confidence. Spend Saturday November 3rd with the NJMQG and learn sometime new. Jackie Laba: After teaching English for nearly 30 years, Jackie returned to her first love, quilting 5 years ago. Jackie has embraced this strange new world of “modern” quilting with rotary cutters, chain piecing, negative space and free motion quilting.